Médecins Sans Frontières/Doctors Without Borders (MSF) calls for community management of acute malnutrition after new evidence from India shows high cure rates. 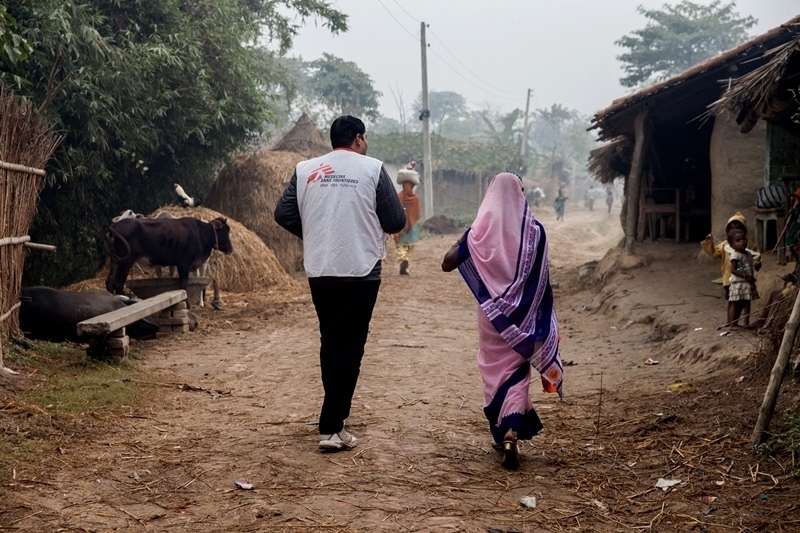 MSF has recently published evidence from its community-based management of acute malnutrition (CMAM) programme in Bihar. The study has revealed that it has successfully achieved a cure rate of 88.4% among severely acute malnourished children who completed their treatment. This conclusion was part of a study entitled, ‘Community-Based Management of Severe Acute Malnutrition in India: New evidence from Bihar,’ which was published on April 1, 2015 in The American Journal of Clinical Nutrition. The American Journal of Clinical Nutrition is the world’s highest ranked peer-reviewed medical journal in the field of nutrition. 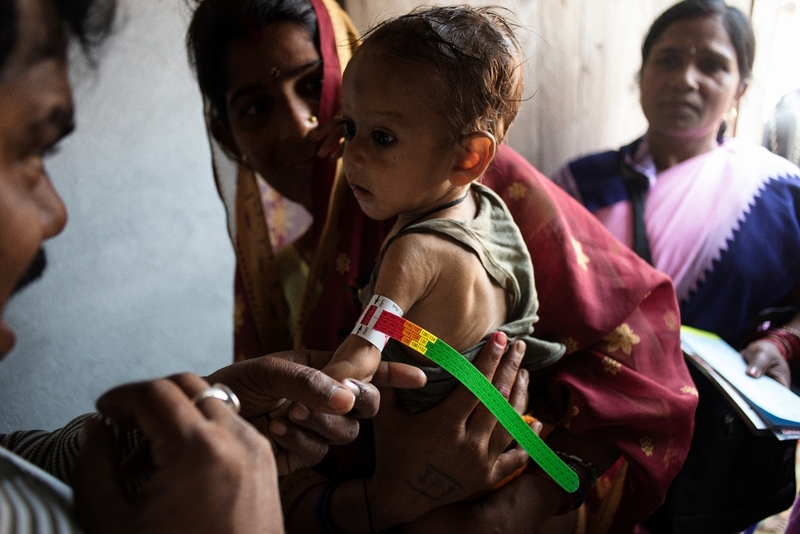 Treatment for severe acute malnutrition is a lengthy process, taking on average seven weeks. As such, outpatient treatment that allows the child to remain at home with only weekly visits to the treatment centre (unless critically unwell), makes it much easier for caregivers to manage than lengthy stays in the hospital. “Of the total number of children, 87.3% belonged to socially and economically marginalised communities and households; 79.9% were between 6 months and 2 years old, and 62.2% were girls." said Dr Prince Mathews, one of the authors of the publication. The study also revealed that the majority (90.7%) of severely malnourished children did not suffer from other opportunistic diseases. This meant that these patients can therefore be treated as outpatients in basic community health centres using an Indian manufactured, World Health Organisation-standard, therapeutic paste. The minority of children with medical complications were treated as inpatients using therapeutic milk until they were fit to resume treatment in the community. Similar to existing hospital-based treatments, CMAM was hindered by a substantial default rate of 38%. However, the conclusions of the study indicate that low mortality and high cure rates in severely malnourished children who complete their treatment can be achieved by implementing a community-based model of care. When children suffer from acute malnutrition, their immune systems are impaired and they are more susceptible to complications from common childhood diseases, such as a respiratory infection or diseases of the digestive system. By identifying and treating them as soon as possible, a great majority of malnourished children are treated before medical complications develop, in outpatient nutrition centres not too far from their homes. With an estimated 8.1 million under-5-years-old SAM children (NFHS-3) in India, MSF calls upon authorities to implement and scale up community-based management initiatives within the public health system. These community-based management initiatives will save more lives and reduce the burden of acute malnutrition in India. 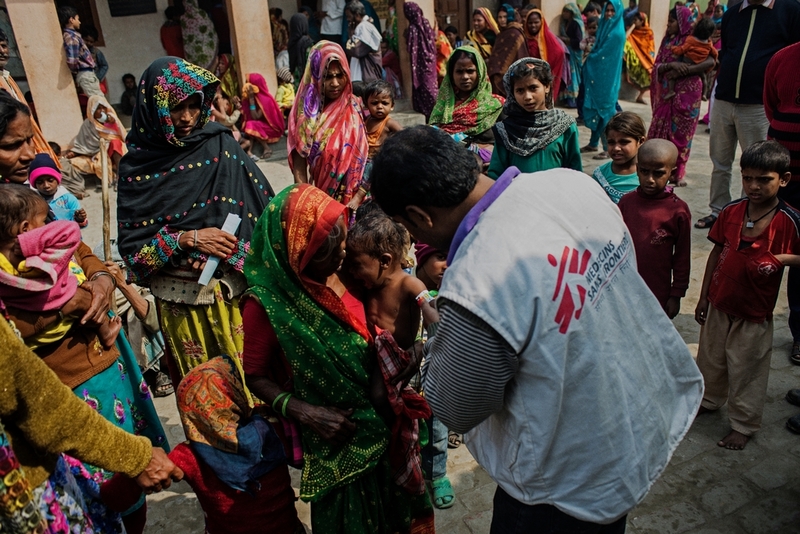 In close collaboration with the Bihar State Health Society, MSF continues to work with the medical staff in Darbhanga’s 11 primary health centres to ensure proximity and continuity of care to malnourished children. Since 2009, MSF has treated more than 17,000 severe acute malnourished patients, aged between six months and five years. Its CMAM programme remains the only community-based treatment programme for severe acute malnutrition in India. MSF has been working in India since 1999, and provides medical treatment to thousands of patients in Andhra Pradesh, Bihar, Chhattisgarh, Jammu and Kashmir, Maharashtra, Manipur and Telangana.